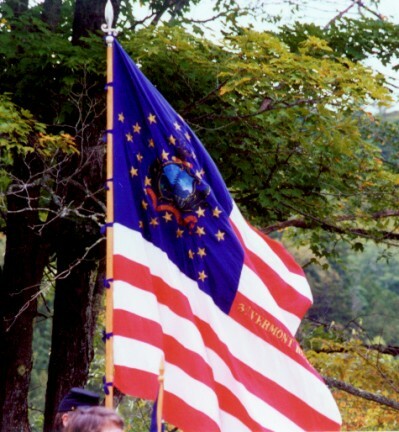 Since 1963 the Vermont Civil War Hemlocks have been making the Civil War come alive for people in the state of Vermont through meetings, demonstrations, and participation in battle re-creations. Over the last thirty years, scores of members and thousands of spectators have gained a deeper understanding for, and greater appreciation of, Vermont's role in this tragic but fascinating chapter of America's history. The Hemlocks take their name from the sprig of evergreen worn by Vermont troops as an identifying badge. They were founded during the one hundredth anniversary of the Civil War by Andrew Fisher, a history teacher at Concord High School. The early demonstrations involved three brass coehorn mortars which had been cast at the Fairbanks Morse foundry in St. Johnsbury. Members of the Hemlocks took part in some of the first Civil War reenactments to take place in this country. The Vermont Civil War Hemlocks is a nonprofit educational organization incorporated in the State of Vermont. We have about fifty members, ranging from high school students to retirees, representing many walks of life, and coming from all over the state of Vermont. Like an original Vermont regiment in the War, we are lucky to have a wide range of talent in our ranks. This diversity helps us accomplish a lot and, at the same time, helps us offer a lot to new members. We emphasize authenticity, and it rewards us with a genuine experience that can not be matched in other organizations. There is nothing like pulling the lanyard on a cannon or being part of a crisp, sharp volley of muskets. We invite you to review this informational packet, to come to one of our meetings, or to attend one of our activities this year and learn more about Vermont's best organization of Civil War enthusiasts. Based in Vermont's Northeast Kingdom, the Hemlocks have chosen to portray the Third Vermont, the only Vermont volunteer regiment to rendezvous and train at Camp Baxter, just south of St. Johnsbury. The Third was part of the First Vermont Brigade that, as part of the famous Sixth Corps, participated in most of the heavy fighting involving the Army of the Potomac. The regiment was originally armed with three-band Enfield rifled muskets, a practice followed by the Hemlocks today. In 1986, the Hemlocks expanded their military impressions by forming the First Vermont Battery of Light Artillery. Central to this portrayal are two three-inch wrought iron rifles (also known as ordnance rifles). One of these cannons is an original rifled piece that served in the War. The other is a full-scale reproduction (smooth bore). Production of this iron-barreled rifled cannon was begun early in the war following specifications developed by the U.S. Ordnance Department. It quickly won favor with artillerists on both sides of the conflict for its accuracy and ease of movement. The Hemlocks load and fire their smooth-bore copy using a variation of the original drill, tempering authenticity with safety. At community events across the state of Vermont, the Hemlocks present the Civil War soldier as he dressed, drilled, marched, ate, lived, and slept. Using authentically reproduced clothing, implements, tentage, and accoutrements, we set up camp, spread out our blanket rolls, build a fire, eat hardtack and drink coffee. We also drill: the manual of arms, marching and facing movements, skirmish maneuvers, sometimes even bayonet practice. At some events we do an artillery drill. Spectators are encouraged to wander through camp and talk to the soldiers. Not only do we enjoy showing people how Civil War soldiers looked and lived, we have many interesting conversations with Civil War enthusiasts from all over. Every year, dozens of Civil War battle re-creations are held throughout the United States. We usually pick one or two of the major events to travel to as a group. Often we fall in with the Fifth New Hampshire, a well-known outfit from our neighboring state. We pitch our tents and live for an entire weekend using nothing but authentic Civil War food and materials. We participate in scripted battle scenarios and sometimes in unscripted tactical exercises. It is the best way to start to appreciate and understand the Civil War soldier's experience. If you are interested in the Civil War but are not sure you're quite ready or do not have the time for full-scale living history, you will meet like-minded people in our group. Although much of our activity is geared towards living history, the monthly meetings offer opportunities for education and discussion of various Civil War topics. We welcome all members with a desire to participate in this hobby. If you are interested in Civil War living history, the Vermont Civil War Hemlocks is the organization for you. If you are concerned about the cost, fear not. It is not necessary to obtain the entire uniform and equipage in order to get started. We have a limited amount of equipment available for loan to new members, and many of our present members are willing to lend articles of clothing that are needed and available. You can start out with a small investment and gradually acquire the articles you need over time. Membership dues are $20.00 per year for individuals, $30.00 per year for families. All funds raised by the Hemlocks go directly to activities promoting the preservation of Vermont's Civil War heritage. The Hemlocks meet on the second Monday of every month at 7 p.m. in the G.A.R. Room of the Hardwick Memorial Building. Local members of the veterans organization met around the turn of the century in this beautiful old granite structure that was built to honor their comrades' sacrifice. Each meeting usually begins with a program of some sort and a speaker, videotape, or other activity relating to the Civil War. The business meeting takes place after the program. All meetings are open and the public is invited. Please visit us at one of our meetings or activities this year. Better yet, fill out the form on our membership page and find out how the Hemlocks can bring the Civil War alive for you.